Wondering which motion sensor is right for you? Take a look here. Just added CAD models of the board courtesy of [Dylan Reynolds] (dylan.r.reynolds@gmail.com). STEP files available on request. Bosch’s new BNO-055 9-axis motion sensor plus Bosch's BMP280 pressure sensor. The BNO-055 has an embedded Cortex M0 ARM processor as well as accel/gyro and mag for a purely hardware absolute orientation solution. 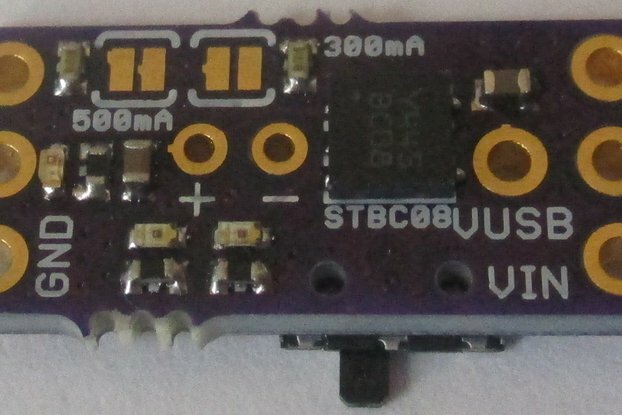 This is either a mini Teensy 3.1 shield or a conventional breakout board, choice is made via solder pads on back which bring 3V3 and GND out to edge pins. Sensor can be accessed either via I2C, UART, or HID-I2C on Windows 8 by changing solder pads PS0 and PS1 on back. 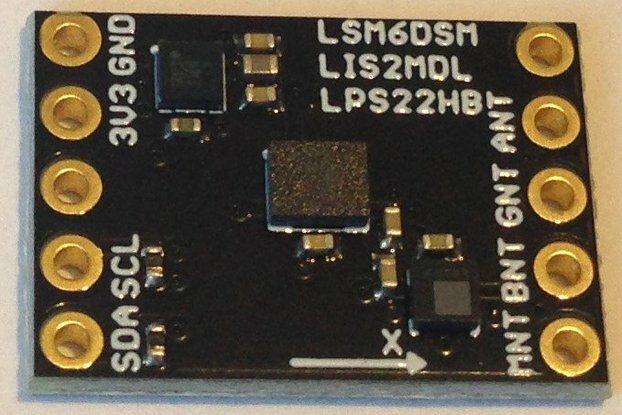 Lastly, BNO-055 I2C address LSB can be changed via solder pad ADO so two can be on the same circuit, if desired. The new trend in motion sensors is to embed powerful processors with the sensor to allow direct calculation and register read of fused quaternion and AHRS output, obviating the need for users to program their own sensor fusion or to take up valuable microprocessor memory or processing power in crunching the numbers for sensor fusion. The first of these inexpensive embedded sensor fusion motion sensors was the 6-axis MPU6050 by Invensense, and the latest Invensense 9-axis motion sensor the MPU9250 maintains the technology with the Digital Motion Processor or DMP providing 6-axis sensor fusion. The drawback of Invensense's approach is the microprocessor must upload a large (4K) binary file of firmware for the DMP, and the DMP is still limited to 6-axis sensor fusion despite being embedded in a 9-axis motion sensor. The next class of device includes the MAX21100, which also embeds a hardware sensor fusion engine with a 6-axis gyro/accelerometer but can perform true 9-axis sensor fusion by importing compass data from a slave magnetometer. This device requires no binary firmware and the quaternion or heading results of the sensor fusion are read from the MAX21100 registers like any other data. 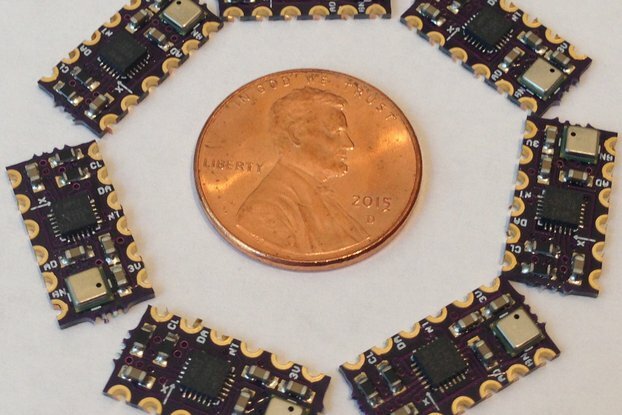 Also in this class is the EM7180, which is a sensor fusion hub that takes data from external sensors and performs sensor fusion in hardware for readout by a master microcontroller. The latest class of integrated motion sensor is embodied in the BNO-055. In this device is Bosch's latest 9-axis motion sensor (the BMX-055) coupled with a Cortex M0 ARM processor to perform the 9-axis sensor fusion. No external magnetometer and no microcontroller processing is required; again the quaternions, linear acceleration, gravity vector, and heading information are directly readable from the BNO-055 registers. This is a compact and powerful motion sensing solution that promises to make absolute orientation and sophisticated motion control available to anyone who can run a blink program on an Arduino. The BNO-055 has a lot of functions and communication paths and I worked hard to make them all available in a small breakout board. 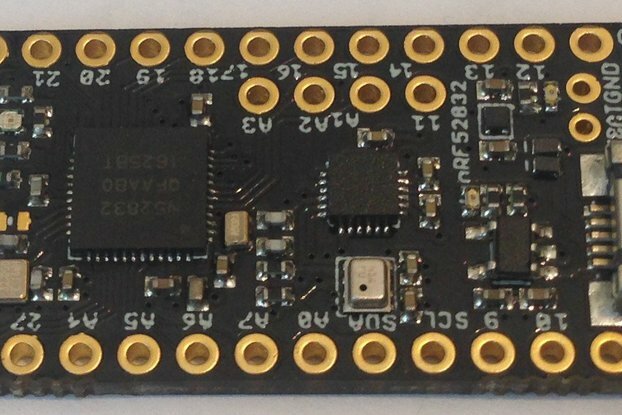 The board can be used as a Teensy 3.1 mini add-on board by just soldering the breakout board directly to the Teensy 3.1 pins 8 - 17 and using the 3V3 and GND at the end of the Teensy board. 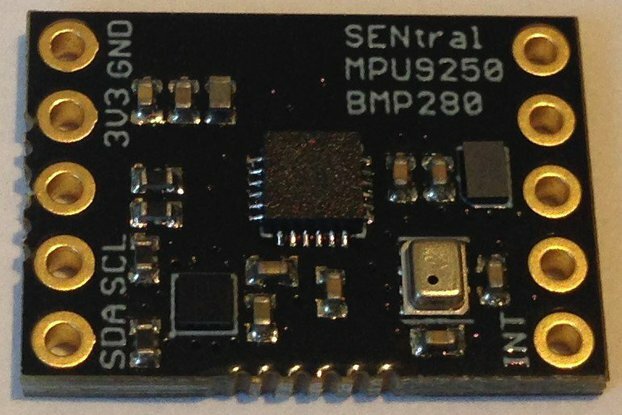 The BN0-055 uses 3V3/GND, SDA/SCL for communication with the Teensy 3.1, and has one multifunction interrupt. I designed the breakout board such that when mounted on the Teensy 3.1, the SPI pins are free for other devices (like SD cards or radios) that must use SPI. The BNO-055 breakout board communicates via I2C (default), UART, or HID-I2C protocol for Windows 8. These latter functions can be accessed by the PS0 and PS1 pins; (0,0) is the default I2C including fast (400 kHz) I2C communication. (0,1) is UART RX/TX communication through the same pins as SDA/SCL. (1,0) is the HID-I2C mode specific to Windows 8. These choices are made by soldering jumpers on the back of the breakout board. The BNO-055 breakout board also breaks out the device reset, which is triggered by setting the reset pin low. 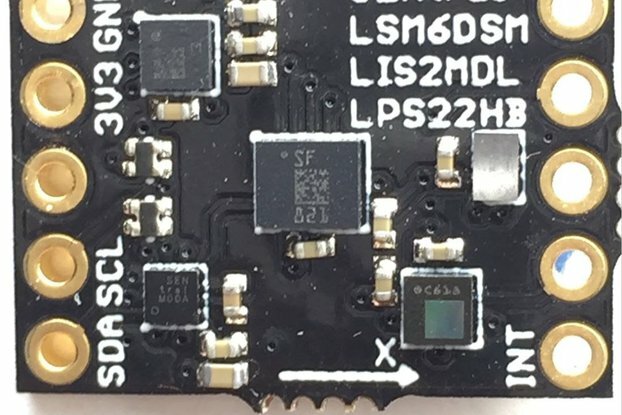 The LSB of the I2C address can be changed via the ADO pin by soldering a junction in the back of the board. 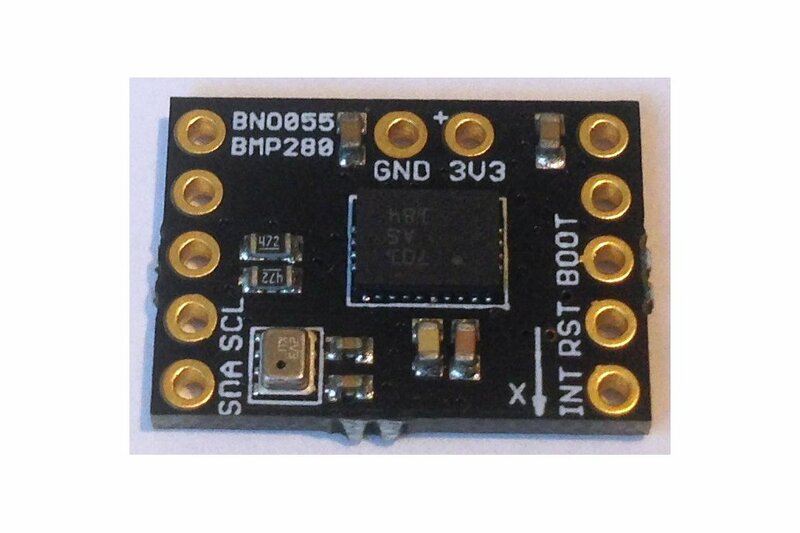 And lastly, the BNO-055 breakout board can be used as a conventional sensor breakout board by soldering jumpers on the back to take 3V3 and GND from the board edge so it is convenient to mount the sensor in a breadboard and connect it to an Arduino (3V3 only! Use a logic level converter for 5V operation) microcontroller. On the latest version of the board, I did not break out the boot pin since Bosch has told me they do not expect users to change the firmware. I notice that the first batch of BNO-055 chips has firmware version 02.B0 while the data sheet says it should be 03.04. So apparently, the firmware does change and I will redesign the board to breakout the boot pin so future firmware upgrades are possible. 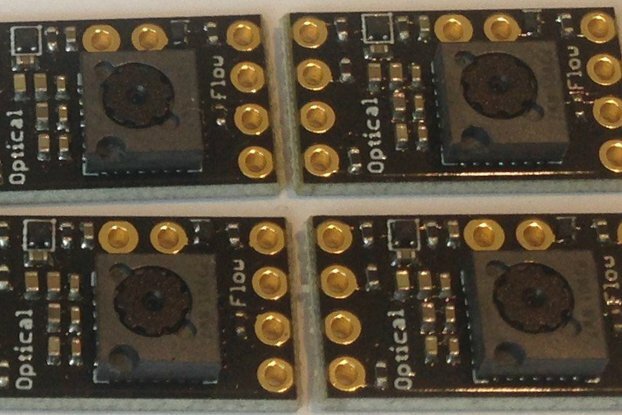 I packed a lot of versatility in a small (0.7 in x 0.5 in) breakout board that will allow almost anybody the benefit of sophisticated 9-axis sensor fusion with ease. 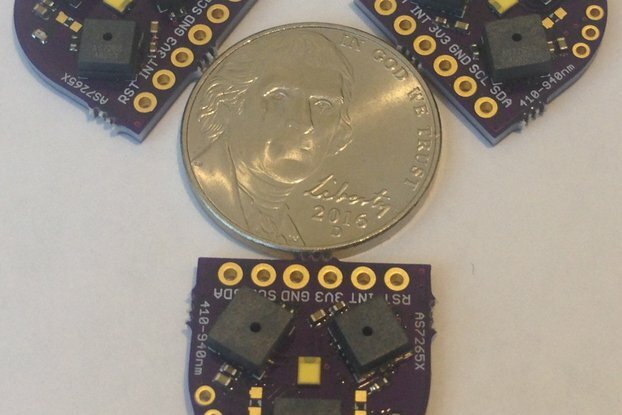 Order the BNO-055 pc boards from OSH Park and make your own, or buy a fully assembled and tested breakout board from me and see what the latest motion sensor technology can do for you! There is a working Arduino (Teensyduino) sketch to allow most of the features of this BNO-055 sensor to be used and is available at GitHub. The sketch parametrizes the sensor registers, initializes the device, calibrates the accelerometer, gyro, and magnetometer, sets up both the hardware and software sensor fusion, and outputs scaled sensor data as well as yaw, pitch, and roll, and quaternions, etc. My initial testing shows the hardware sensor fusion works well and is very stable. The hardware sensor fusion is updated at a fixed 100 Hz. The software sensor fusion responds at an update rate between 300 and 400 Hz when the Teensy 3.1 processor speed is set to 48 MHz depending on the amount of data output requested. The hardware sensor fusion results compare well with the open-source sensor fusion results except, as in the case of the MAX21100, there seems to be a relative rotation between the hardware yaw and the software yaw. This has to do with the different reference frames used in the two algorithms but I haven't yet figured out how to properly align them to agree. As far as I know, there is no export control of this item so it will ship anywhere without restriction. 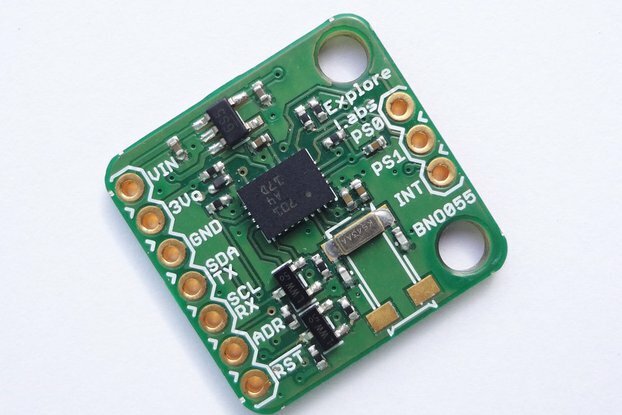 Also, being relatively new and in short supply the BNO-055 is selling for more than other 9-axis motion sensors which, unfortunately, must be reflected in the price of the breakout board. A nice compact design with good examples and excellent shipping and support -- thanks Kris! - the magnetometer behaviour seems problematic: the mx,my,mz reports change very little when rotating execution but substantially from one boot to another, and the reported heading is completely unreliable, even when the system and magnetometer report full calibration (all 3s). I was able to get much more sensible output by disabling the up-front magnetometer calibration and relying on the running auto calibration. Could this be related to being in the S hemisphere? Next step for me will be a thorough review of the BNO055 docs. Very pleased with communication with the Seller. Will try the other your products as well. I bought this board primarily to experiment with the MS5637 pressure/temperature sensor (they're very hard to find on their own carrier board!) My understanding was that the MS5637 is extremely accurate - it immediately made me doubt my lowly RHT03/DHT22 sensor's readings (consistently lower by over 2 degrees C and it's been that way for weeks. I recently got a SHT31-D, which is also considered to be highly accurate, mainly to compare RH readings to. It was reading almost exactly the same RH *and* temperature as the RHT03/DHT22! That surprised me. I moved components a bit, pondered airflow (adequate), and was all but ready to declare the MS5637 faulty. I don't have exact radiometry but it looks like the BNO-055 is the main source of the extra heat. Perhaps a heat-sink would help, though that might cause other problems. Bottom line: if the MS5637 was on its own separate board this would not be a problem. I plan to test whether I can idle the BNO-055 to deal with this for the purpose of my setup (and to test the true accuracy of the MS5637), but obviously this isn't going to help someone expecting to have the 9-DOF active and get accurate temperature and pressure readings (given that temperature is used to calculate pressure offsets as well). It's a neat device... I just wish self-heating wasn't such a problem with T/P accuracy on it. Followup: I switched the BNO-055 to suspended power mode and the temperature of the auxiliary MS5637 sensor on this board immediately began to drop, leveling out just about 2 degrees C below where it had been before and almost exactly in line with what the SHT31-D sensor read (and a few tenths of a degree C above the value seen on the RHT03/DHT22) and validating my hypothesis. I have been using the BNO055 for many months now, and I am extremely pleased with the product and its performance. I am using it in a custom sensor fused with GPS data to measure and track the sensor's velocity and position in inertial space. Combined with a Teensy 3.2, I can output all the data at a 50 Hz rate - fast enough to adequately sample a chaotic wind field (must have chaotic accelerations to use the accelerometer data correctly). Excellent support and fast reply. Kris continues developing software for his boards, that is very important. Will definitely buy again. Bought two of these for a project. Sample code covers everything I will need to use this sensor. This is the best inertial sensor I have used while developing my own UAV from scratch. The only problem is the code they provide for using it is pretty incoherent and hard to implement in an organized manner in my opinion (from an EE perspective, I guess). Luckily, some generous soul took that code and created a nice library which works great and ports nicely to Teensy 3.2 : https://github.com/TedMeyers/XYZ-robo/tree/master/XYZ_BNO05 . All in all, I think this is the first IMU I have tried that will be successful in my project, without having to drop a big dime on a Razor or some prohibitively expensive industry standard unit. It works with Beagle Bone Black!! Very cool board. Some tips for startup. 1. You can solder the board directly onto a Teensy 3.1 or TeensyLC board. You can solder it on top of the pushbutton or underneath the PCB, where the pushbutton sits. Important: The Teensy chip and the BNO-055 chip must both be facing upward. 2. Kris' software runs without any changes for I2C. I cannot agree with Clint's comment. 4. Before starting, you need to solder the 3-fold jumper in the left upper corner! This activates the 4k7 pullup resistors needed for both I2C lines SDA and SCL. Put a solder drop to short all 3 pads. Don't forget this, it may cause you a bad headache. 5. Standalone use: You only need 4 wires: GND, 3V3, SCL and SDA. 7. I tried breadboarding the BNO-055 board to the Teensy, but never succeeded. Lesson learned: Always solder the 4 connections, use short wires. Thanks for the kind words Alf, and the detailed review and advice for others! The BNO055 offers many configuration choices to the user and I tried to make them all available. Unfortunately this makes using this board somewhat more challenging than simpler boards available here at Tindie. I hope your comments make it a bit easier for those people who are having trouble. Of course, I am always happy to answer any questions to help you make use of this or any Pesky Product. FWIW, I use hooked test leads I buy from Amazon to test all of these boards before I ship them out without soldering wires to the boards (that would ruin them for any buyer in my view). This usually works well with the Teensy on a breadbord. The BNO-055 is a very good IMU with its built-in fusion. 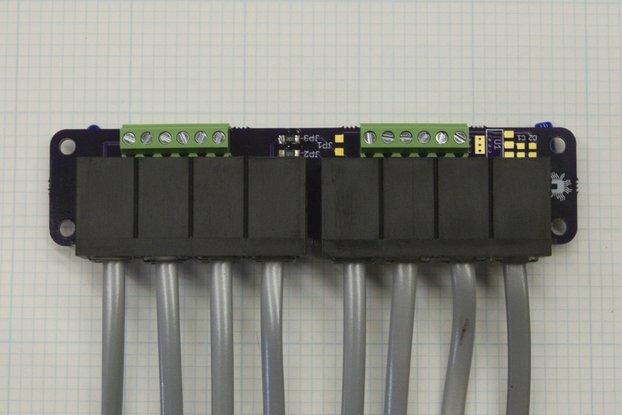 This breakout's documentation could be better at explaining the minor pin uses, the desirability of the I2C pull-up resistors, and the need to do the figure-8s to calibrate the magnetometer. 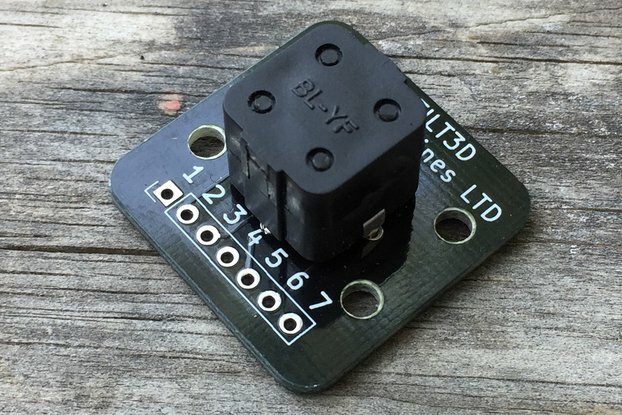 Most importantly, the documentation needs to address the BMP280 pressure sensor version -- there is no mention of this sensor's variation anywhere. Thanks for the review David. There is a well-commented sketch that allows the full function of the BMP280 to be accessed as well as a link to the BMP280 data sheet. I am not sure what you mean by "sensor' variation" but if you have any questions about the breakout board I would be happy to try to answer them. I have ordered this breakout board from Germany. It is functional and very well documented. The code available on Github is also of great help. Keep up the good work! A good product, send quickly. Everything work great. Just one question : do you know what is the coefficient of the rotating matrix using quaternion ? what I want to do is to estimate the the deplacement of an object using the velocity and the double intagral of the mesured acceleration from the sensor. So I need the coefficient rxx using quaternion. I am not exactly sure what you are asking. The BNO055 outputs linear acceleration (with the component of gravity removed) so you could just double integrate this to estimate position. This is likely to be pretty coarse though since errors will accumulate quickly. Excellent product. Teensy3.1 Pins 16 & 17 were challenging. First, pins 16 & 17 aren't the default SDA0 and SCL0 - At first I thought I'd have to use the i2c_t3.h library and add I2C_PINS_16_17 to the i2c's begin() function. Unfortunately, the latest (as of 6/18/2015) i2c_t3.h library is flaky and would crash within minutes of a restart. After much debugging to determine that the problem was indeed the library, I had to resort to modifying and using PJRC's Wire.h library included in the Teensyduino package in order to use pins 16 & 17. No changes needed to be made to Wire.h. I hope this helps someone else avoid my debugging headaches. I had a lot of changed components and it was really hard to determine whether it was a hardware issue (pullups, etc. ), or a library issue with i2c_t3.h. Turns out it was the library. Now that I'm using my modified PJRC Wire.h library, it works like a charm and doesn't crash. Thanks for the detailed review and I am sorry you had so much trouble. 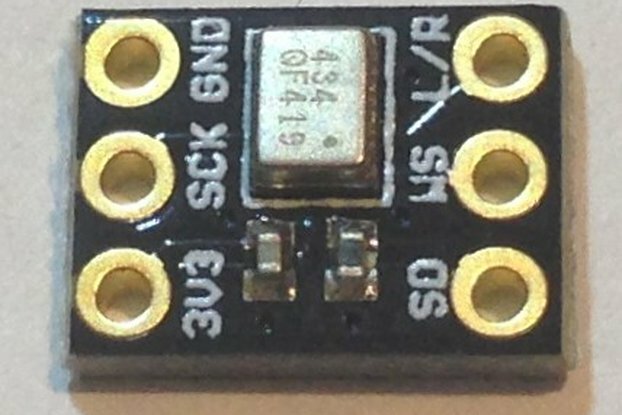 I have used the i2c_t3.h library with this and other sensor breakout boards with success for many months so I can't imagine what was the problem. But I'm glad you got it sorted out in the end! Ridiculously small. Very useful for easy orientation tracking and requires very little program space or processor cycles. I used it to integrate into a boat tracking and efficiency optimisation system that was running very low on available program space with an arduino, worked beautifully. Thanks for making this breakout and the very comprehensive example code Kris! Thanks for the great product Kris. From the States to Denmark in just 6 days with normal international postage! I will update this review on the actual product when I get a chance to play with it. Just got it today, and I only ordered 2 days ago. I haven't had a chance to use it yet, but I have looked at it and it looks great, it is small and well made. I'm looking forward to trying it out, there is some documentation that I need to read (could be more, but no complaints). Thanks! Received in right time. Designed PCB occupying very low space. Nice soldering . Board works correctly with my dsPIC. Working on this sensor to get it my application. I have the example code running on a ATMega32U4 based Arduino (Pro Micro) at 500hz (hardware fusion). N.B. Needs a logic level converter that can handle I2c so you can have a 5v Arduino on one side and the BNO-055 on the other but works a treat! I quote an old comment because it's really true! "I don't usually have the time to write feed back however the help I received from Chris Winer (Pesky Products) was absolutely fantastic so a well deserved thank you Chris!! The boards arrived on time, in perfect condition and functioned exactly as advertised. To date the little board is the most fun I've had with embedded Linux. I highly recommend anything supported by Chris and Pesky Products." Have not tested board yet in any "real world" applications, so cannnot say anything about the new BNO-055 functionality. I don't usually have the time to write feed back however the help I received from Chris Winer (Pesky Products) was absolutely fantastic so a well deserved thank you Chris!! The boards arrived on time, in perfect condition and functioned exactly as advertised. To date the little board is the most fun I've had with embedded Linux. I highly recommend anything supported by Chris and Pesky Products. Thanks for the kind words Bruce, and glad to be of help!